Another summer has gone by and New Hampshire is ushering in fall’s crisp cool air after what seemed like a very hot and wet summer. Soon the leaves will change colors and cover our lawns so get out the rakes, and enjoy the weather before the cold arrives. Compared to the devastating floods and hurricanes that hit the Carolina’s and Florida I always stop and count my blessings that I live in New Hampshire. Summer’s business activity was steady though not always resulting in signed leases. As in the past, other brokers I talk to agree it is taking longer to get deals done, less new inquiries over all, i.e. there are fewer retailers looking for space, and still many options to choose from. It seems more retailers looking for space have tenant rep brokers. This does expedite the process as they completely understand their client’s needs and can quickly generate a Letter of Intent, however the deal terms seem tougher for landlord’s specifically with regard to landlord delivery, and TI Allowance, coupled with tenant brokers asking for full fees sometimes as much to what shopping center owners were accustomed to paying in total. Another example of the changing retail environment affecting shopping center owners and landlord brokers. Speaking about changes, some of the largest store closings ever have just been announced that will dramatically change the playing field for all in the industry including New Hampshire i.e. Toys R’ Us/Babies R’ Us, Sears, and just recently Mattress Firm. Who will step up to fill these anchor stores, in-line, and free-standing buildings in New Hampshire? Most recently they have been off price and deep discount stores like TJ Maxx and Ocean State Job Lot, and new players Sierra Trading Co., and Home Sense are opening soon in Nashua. New Hampshire’s retail picture is healthy and continuing to grow. Occupancy rates remain high, and most centers have only a few vacant units, but there are older big boxes i.e. Shaw’s and Building #19 in Manchester and Nashua that remain vacant. Planet Fitness and others could open new locations and perhaps new ones not yet in New Hampshire such as Crunch and Blink. Numerous smaller “boutique “ fitness franchises including Orangetheory Fitness, Anytime Fitness, Pure Barre, Spenga, and numerous yoga studios continue to expand in New Hampshires. Other large space users growing in New Hampshire are family entertainment businesses such as Altitude Trampoline Park and FunCity US. Both have opened in former Shaw’s Supermarkets in Merrimack and Goffstown. Altitude Trampoline Park opened in Pelham, and will soon open at Steeplegate Mall in Concord in a former Circuit City store. Extreme Craze a laser tag arena and party venue, and southern New Hampshire Gymnastics Academy are under construction in the former Home Goods store in Londonderry at the Shaw’s Apple Tree Mall. Recently purchased by George Vernet of Vernet Properties of Salem, Mass., a complete renovation and repositioning is under way. With respect to new retail developments the most significant and largest ones namely: Main & Marketplace in Bedford, Woodmont Commons in Londonderry, and Tuscan Village in Salem continue to lease up their retail units and construct apartments and condominium townhouses. There is more development in Merrimack including a 280 unit multi-family project at Exit 11, and Merrimack Park Place a 372,000 s/f mixed-use development at the entrance to the Premium Outlet Mall according to Michael Branton, vice president of leasing for KeyPoint Partners. Merrimack-360 the redevelopment of the old Shaw’s Plaza by OVP Management is complete. Altitude Trampoline Park, Planet Fitness, Dollar General, Lavish Nails & Spa, and Great Clips have opened. Tuckers, Thirsty Moose and Haywards Ice Cream are under construction. The last spaces available are the 10,000 s/f right endcap and a fully approved free-standing pad at the light. New restaurants continue to open, the latest being the 110 Grill on Elm St., in downtown Manchester. Great NH Restaurant which operates T-Bones and the Copper Door chains, just re-branded Cactus Jacks to a CJ’s Great West Grill on South Willow St. and will be converting the Shorty’s on Rte. 101 in Bedford to a new concept. Also on South Willow St. new tenants have been announced for The Shoppes at 655 South Willow, a mixed use development with 90,000 s/f of new to market retail space according to Chris McMahon of Summit Realty Partners. The former Sports Authority has been renovated for Party City, Guitar Center and DSW Shoe. BJ’s Wholesale Club has opened in the former Sam’ Club in Manchester, and in Concord there is continued infill near Steeplegate Mall with a new ALDI’S coming soon. 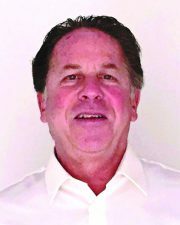 Andrew Levy, CCIM, is vice president of retail leasing for the MEG Companies, Londonderry, N.H.